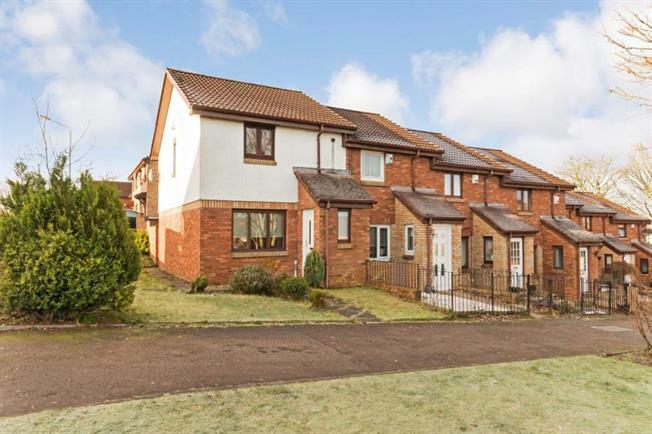 2 Bedroom End of Terrace House For Sale in Glasgow for Offers Over £124,995. Offering ideal accommodation for today's young couples and families alike and conveniently located in close proximity to a wide range of amenities including immediate access to both motorway and railway networks. This truly superb end terrace villa by Wimpey Homes comprises entrance porch, well appointed lounge, family dining area, fitted kitchen, upper landing, two double bedrooms, box room (currently being used as a single bedroom) and bathroom with mixer shower and screen. The property benefits from gas central heating, double glazing, residents allocated monobloc parking facilities within cul de sac and privately owned gardens to the front and rear of the property with paved patio area. The property further benefits from being in close proximity to local shops, schools and public transport facilities.